I am excited about attending the Sheffield Adventure Film Festival SHAFF on 20th to 22nd March 2015. On the saturday I will be helping at the Q&A cycle touring workshop. I will appropriately be cycling down and if I make it I’ll talk about bikes and kit but also my various cycle tours across almost 40 countries, so come along if you are planning something fun or just want to chat about cycling adventures! I was also super excited to be asked to preview a selection of films that will feature at the festival. I selected my top three from the website and sat down and enjoyed some adventure on my sofa (I’m getting old!). I selected this film to preview because I am always inspired by cyclists back in the day who covered vast distances on heavy three speed steel bikes. Some of the distances they covered seem unfathomable to us spoilt modern cyclists with more gears but less energy. We complain too easily these days if we can’t afford carbon wheels and blame the bike. Come on Eileen celebrates a hero from the 1940s/50s who I had never heard of but someone I should’ve. 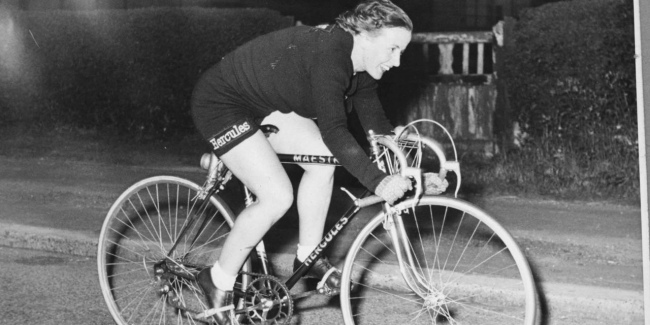 The film tells the tale of her remarkable achievements and it’s a good mix of original footage, photos, some reconstruction (which looked a lot of fun to film!) and reflection from an array of people including Eileen herself. It’s an engaging story that is well narrated and I thoroughly enjoyed. Without giving much away Eileen achieved an amazing number of records seemingly without much effort, often fresh and smiling on the finish line. As it ended I felt almost embarrassed to have only ridden a 100km a day on my cycling east adventure! Altogether a refreshingly original and inspiring film that offers a different experience than the standard adventure based films. 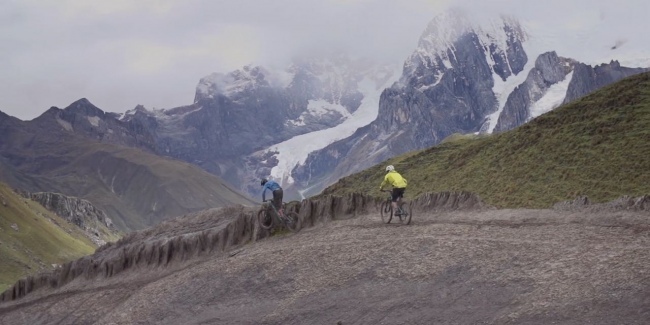 This mountain biking or bike packing film shot in Peru, caught my eye for two reasons: firstly I am always interested in watching mountain biking adventures/bike packing trips but secondly I read an article these guys wrote about their trip in the now defunct ‘Privateer Magazine’ and their photographs in the mag were jaw dropping. I hoped the film delivered in replicating the remarkable backdrop I had seen in their pictures, despite the mixed weather they saw! It is a refreshingly low key film that worked really well in telling their trip as it was. However I must admit I get frustrated by films that show people playing up on being under prepared in remote dangerous places, the opening theme of: “we didn’t know what to expect and didn’t prepare at all” annoyed me a bit. It quickly moves on and is a captivating story of a highly achievable if hard work, trip in an area not well known to many but will no doubt get many viewers Googling flights and how to get there! The area was notorious for a lawless history and their encounters with drunk gunmen and some remote ‘mishaps’ added spice to the story and made them grateful to get out alive! It’s a fun film that really gave me adventure envy and a strong desire to visit and try to finish their loop! I highly recommend getting yourself along to see it! I love Sweetgrass productions. They consistently make some of the best ski and boarding movies around. Their classic Solitaire movie was one of the key factors behind my summer spent skiing in Patagonia. I recommend watching their full catalogue at some point! Deep pillows and Alaskan spines, all filmed at night, with massive lights, custom made LED suits, and a national governments worth of logistics, planning, and civil engineering. The light suit segment features some footage that you’ll struggle to believe is real and not animated. 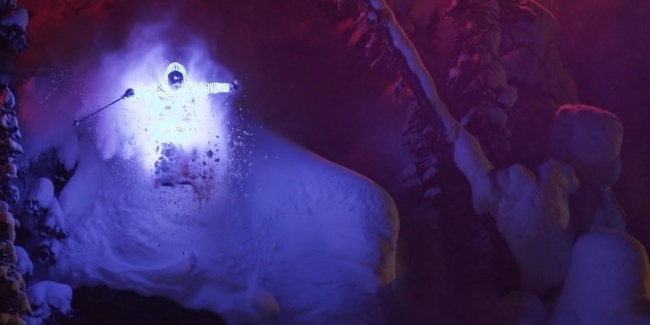 It’s just of the scale and craziness with the full LED suits and huge lights reflecting the epic Alaskan powder lines. It does lose a bit of the traditional Sweetgrass story telling but in sheer visuals it is unique and pretty unmissable! It is kind of what happens when you asked the question of what would the Sweetgrass guys do if they got a big budget. They wouldn’t bother with a second helicopter or a red bull aeroplane they would just get creative on a bigger scale! The question you’ll be asking after watching is where can I get me one of those LED suits for commuting to work on the bike! There will be a lot more great films on over the weekend so I hope to see some of you there!